Malmo is the third largest city in Sweden, and it is said that the place is the cultural and the economic capital of Southern Sweden. 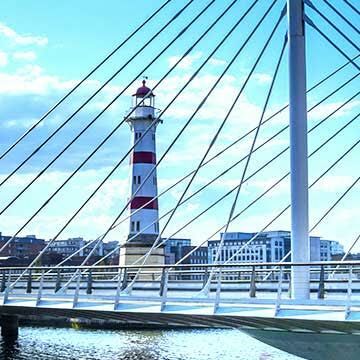 The area shares its borders with Denmark, Scania, and Copenhagen and receives thousands of tourists every year who visit the place to see the top tourist attractions. One will easily find things that are both healthy and wholesome about this European country. People in Sweden know exactly how they must take advantage of the country. Starting from its scenic beauty, to the edible bounty like you have never tasted before, this is not a place that can disappoint even the most skeptic of travelers. There are just so many things to do in Sweden, and so many avenues to explore. With summer only a few weeks away, you might be interested in planning the perfect Euro trip. The problem, however, is that you are not sure of what countries to cover. You should know that there a number of things to do in Sweden that can be ideal for the perfect summer getaway. Whether you are visiting with your family or friends, there is a lot that Sweden can offer. The Scandinavian country is well known for its prehistoric history dating back to more than 12 thousand years pertaining to the Bromme culture. It is also known for being a region occupied by Vikings between the 8th and 11th centuries. 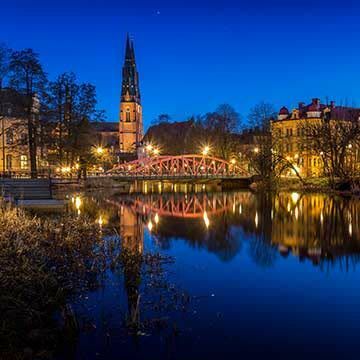 For this reason, there are a wide range of things to do in Sweden that can captivate you and leave a lasting impression on your mind. 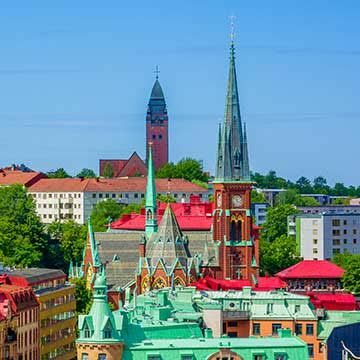 Whether you are visiting the country for the first time or not, you will always come across an array of things to in Sweden that will help you have enjoyable summer vacation experience with friends or family. One of the many things to do in Sweden that you should look forward to is visiting the Vasa Museum. Located in the capital city of Stockholm, Vasa Museum is reported to be the most visited maritime museums in Sweden. Its most interesting feature is that of the almost completely intact ship from the 17th century. Opened to the public in 1990, Vasa Museum is part of the Swedish National Maritime Museums. Another place that you can add to your list of things to do in Sweden is the Skansen museum located in the Djurgarden Island in Stockholm. The museum was established in the late 19th century with the sole purpose of showcasing and preserving the pristine and rural lifestyles of Sweden based on the fears of a rapidly industrialized city. The open-air museum pulls a crowd of over 1.3 million every year who flock to see the preservation of 19th century Sweden including a replica of a town. Upon your visit to the museum, you will witness a range of traditional rural activities, from glass blowers to silversmiths and shoemakers to bakers. You will also come across a range of animals popular in Scandinavia including moose, lynx, reindeer, wolf, seal, and bison. Such exhibits are a reminder of some of the common jobs that people used to perform in addition to the many types of animals used by farmers in 19th century Sweden. By visiting here, you can expect to take trip through time and experience how Swedish people lived nearly two centuries ago. If you are off to Europe this summer, be sure to visit Scandinavia. You should know that there are a plethora of things to do in Sweden, in particular, that can captivate your mind and senses and leave you with a memory you will not forget. The country is well known for its history of Vikings from the 8th to 11th century and for emerging as the Swedish Empire in the 17th century, the strength of which led it to capture nearly half of the Holy Roman areas. 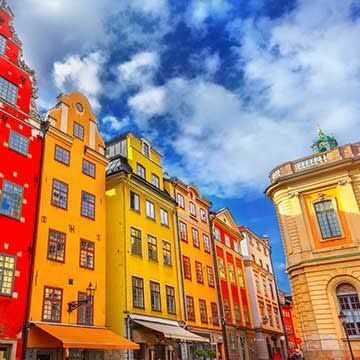 For this reason there are many places to visit in Sweden that exude its former glory as one of the most powerful European empires during the 17th century, particularly its array of buildings and historical sites. One of the many places to visit in Sweden is the Drottningholm Palace, which is the Swedish royal family’s private residence. The palace, located on the Lovon Island in Stockholm and built in the classical European architectural tradition, is one of the most popular tourist destination spots in Sweden. Its construction dates from the 16th century and has been listed as a UNESCO World Heritage Site in 1991, owing to its Chinese Pavilion and the Drottningholm Palace Theatre. Here you can enjoy the beautiful architecture of the palace, take a stroll through the gardens, and take stunning picture of the palace and its surroundings. Another attraction you can add to your list of things to do in Sweden is the Liseberg Amusement Park. This is the perfect place to go if you are looking for a sense of adventure and partake in exciting activities and things to do. The amusement park contains more than 40 different kinds of rides and attractions that are fit for both adults and children alike, namely the new Children’s Paradise for young children and the Helix roller coaster for adults. You will be amazed at how much you can enjoy; should you get a craving for food, there are a number of dining options where you can munch on your favorite snacks and sip your favorite drinks. Additionally, the park also comprises of a number of exquisite gardens that can evoke a sense of relaxation and joy. You will feel energized strolling across the spectacular park comprising of waterfalls, plants, flowerbeds, and picturesque landscapes. You can visit the Lisebergs Lustgard Park or the breathtaking sculpture park. If you are interested in flowers, be sure to stop by the Liseberg’s Garden Days.